The Digital Library of Georgia (DLG) is pleased to announce the availability of the Red and Black in the Georgia Historic Newspapers Archive (GHN) at https://gahistoricnewspapers.galileo.usg.edu/lccn/gua1179162/ . Since 1893, the Red and Black has provided a training ground for University of Georgia students interested in gaining experience in various aspects of newspaper publishing and to produce a high quality daily newspaper for the University of Georgia community. 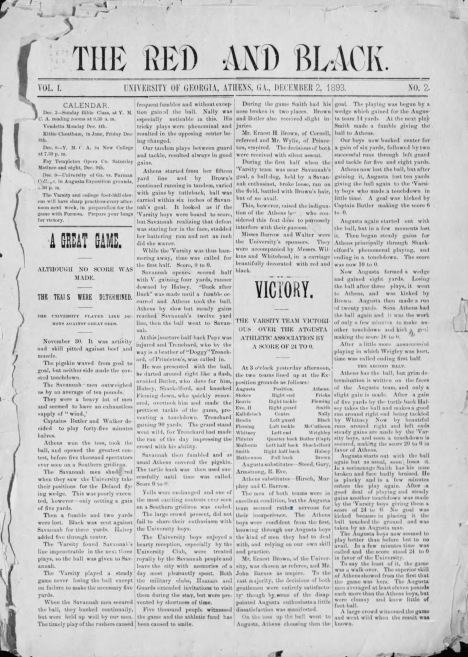 The Red and Black debuted in 1893 as a newspaper devoted to the interests of the University of Georgia’s student body. Two years later, the publication was discontinued after a conflict between university faculty and the Red and Black. In September, 1895, the publication resumed as a private venture, which proved successful enough to convince faculty to reclaim the paper in 1896. The University of Georgia Athletic Association assumed control of the Red and Black, which operated there in connection with the School of Journalism. In 1980, the UGA Board of Regents voted to approve the paper’s independence from the university. The Red and Black remains an independent publication and is the most widely circulated college newspaper in Georgia. The University of Georgia Libraries has launched a crowdfunding campaign to digitize back issues of the Red and Black dating from 2007-present. Currently, issues from 1893 to 2006 are available on the new website. 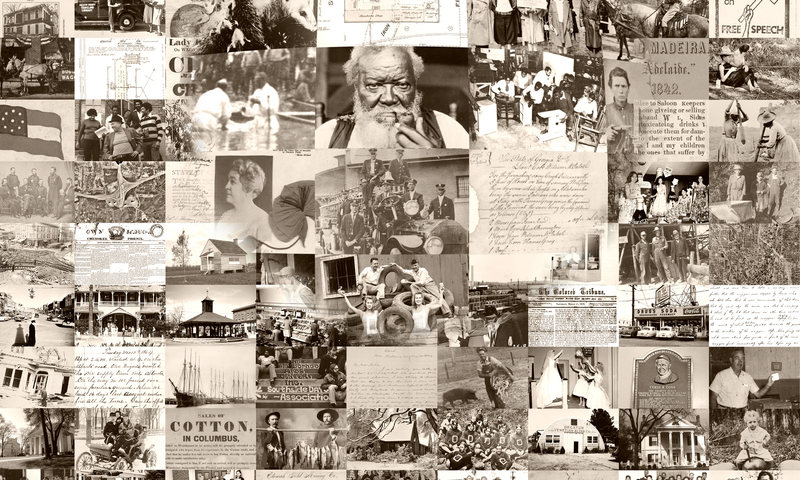 The archive is keyword searchable, making it a valuable resource for the University community. To support or to learn more about this project, visit https://dar.uga.edu/funder/campaigns/digitize-the-red-black/ .